Not many places in Africa combine romance and safari so well as on this 3 day Soul of Botswana Classic Fly-in tour of the Moremi Game Reserve. 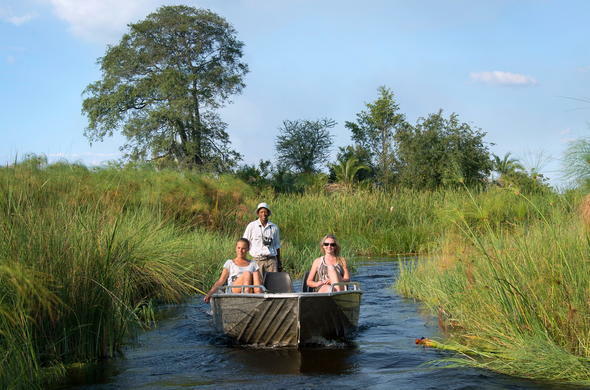 This Soul of Botswana Safari Package takes in one of the most beautiful areas of the Okavango Delta, where channels and lagoons surround islands of varying sizes on the western side of the Moremi Game Reserve. 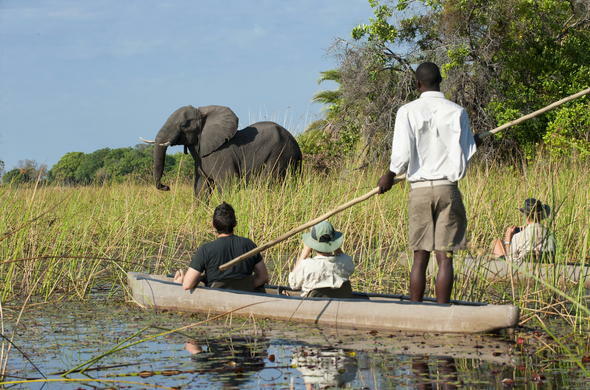 Game drives, boat safaris and makoro canoe excursions enable you to appreciate the beauty of Moremi. You'll see places that few travellers to Africa have the privilege of experiencing. The activities are enhanced by the knowledge and experience of the safari guides. There is only one bush camp in the area ensuring that the feeling of remoteness is part of the experience. This particular part showcases the varying ecosystems of the Okavango like no other place. You will arrive in Maun from Johannesburg and board a light aircraft for the flight into the Moremi where you will be spending the next 2 nights. You will be in time for lunch and a short rest before the afternoon activity. After high tea you will set off with your safari guide who will take you into a part of Africa that does not exist anywhere else. Many of the guides have grown up in the areas and they share their knowledge with you on the excursions. Today is a relatively early start, depending on the choice of activity. The morning will be spent exploring the intricacies of this incredible place, and there is always the opportunity of seeing game including Lion, Elephant and Buffalo. After a few hours of new discoveries you will head back to the bush camp for brunch and siesta time. Afternoon tea will be served before you head out on another activity to enjoy more of what this African Eden offers. The activities will depend on the time of year with the high water between June and October limiting the land activities but ensuring spectacular water activities. This is your last day in Africa's Eden. 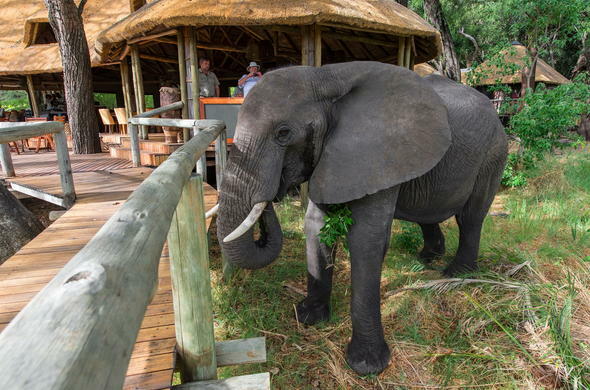 Enjoy a final morning activity and brunch on your Soul of Botswana Moremi Experience. You will be transferred to the airstrip for your flight to Maun, where you will connect with your outbound flight back to Johannesburg O.R. Tambo International Airport. This 3 day fly-in Soul of Botswana Wilderness Package is calculated for 2 guests sharing en-suite accommodation, all inclusive safari holiday with scheduled flights ex/to Johannesburg OR Tambo Airport. 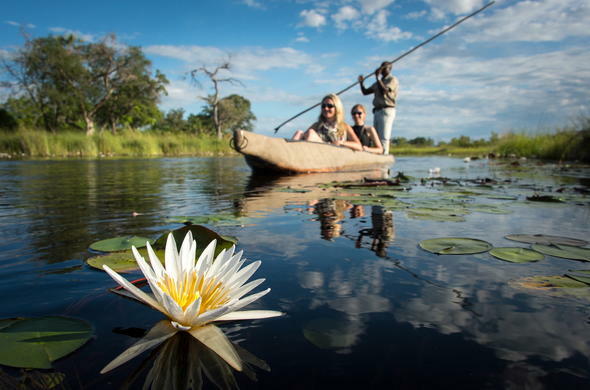 This Okavango package can be combined with a stay in the Linyanti or Savute area, Chobe National Park and also with a stay at the Central Kalahari in Botswana.